With winter gone and spring on its way it’s important all you ladies are up-to-date with the latest makeup trends. Makeup is every girl’s best friend and how good you want it to look is really up to you. It only takes a final brush to give you the complete look and also depends on the last touch to whether it’s perfect or spoiled. Spring seasons bring the sunny months, which are mostly spent outdoors; therefore it’s important your makeup synchronizes. Below are the top make up trends you can choose from for spring, which will definitely keep you at the brink of your chair! Say good-bye to the plum wintery shades and pack them up for next year; as winter is now gone. It’s time to bring out brighter, sun-kissed colors to have your cheeks looking summery! 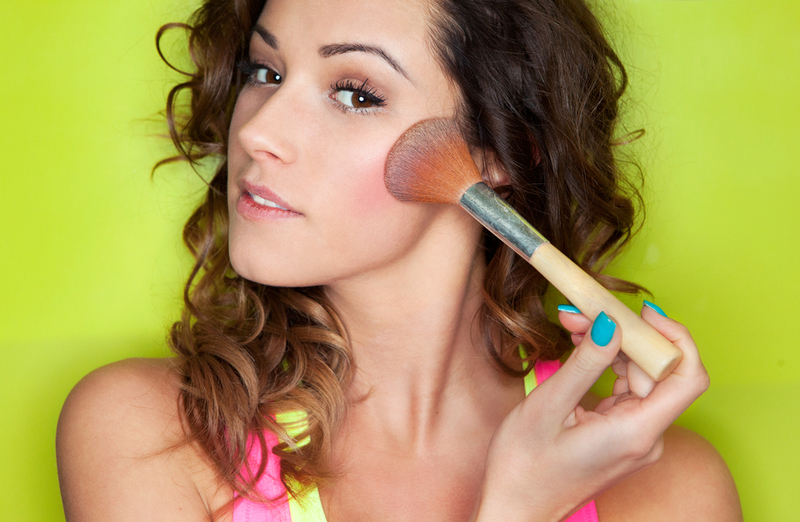 A bronzer is ideal here, as it will give you a lovely glow and outline your cheeks. When you think of flowers, you immediately think spring and summer because that’s when the delicate petals blossom and come to life. This is a perfect chance for you to take advantage of what the seasons have to offer! The lovely charisma of pastel shades will definitely work here, from glistening pink lips, eye shadows, youthful lashes and brows and a beautiful touch of pink on the cheeks. The Smashbox Shades of Fame Eye Shadow Palette features nine vibrant eye shadows; which are all perfect shades for the summer It doesn’t get any better than this and spring and summer only come once a year; so remember to take full advantage! It’s all in the name! This makeup style is ever so simple, has you looking modest and is ever so charming at the same time. An advantage of this trend has to be that it does not require many skills or techniques. This look is highly achievable and will be made much easier if you have a good skin care routine. All it consists of is enhancing the features on your face by adding a little makeup ever so delicately and lightly. The natural look is simple, beautiful and makes your face look ever so natural. Your eyelids will need to be covered in a soft neutral shade; a little pink blush would do it for your cheeks and a lovely “my lips but better” colored lipstick to finalize the look. Opt for the one that best suits you and enjoy the spring and summer looking ever so charming! Give your natural beauty a chance to shine out and even try experimenting with the different styles.